I’m a dry shampoo LOVER, and have trained my hair to go a couple days between washes. I find my hair is healthier because of it… I’m not overheating it with styling, nor stripping it of its natural oils as often. Before its launch in early May, VERB already had a wait list in the thousands for its new Dry Shampoo Dark and Dry Shampoo Light, and I was one of them. This is the spray formulation of their original Dry Shampoo Powder, and it sells for $16 as well. The Light version has a purple tint to counteract brassiness, while the Dark disappears when sprayed onto the roots. I’ve been using it A LOT and can confidently say it’s my favorite of any dry shampoo I’ve tried. It of course soaks up oil, revives texture and gives you a bit of volume at the roots. One of the things I love is that it doesn’t have an overpowering smell (like the Living Proof one for example). And since I tend to have darker roots, even when I have highlighted hair, I love that you don’t see that white cast. I’d say this is in the light to medium part of the dry shampoo spectrum, which works perfectly for me since I typically don’t go for more than a couple days between shampoos. I spray the dry shampoo on my roots and around my face and let it sit for 30 seconds or so, before running a cool hair dryer over it. 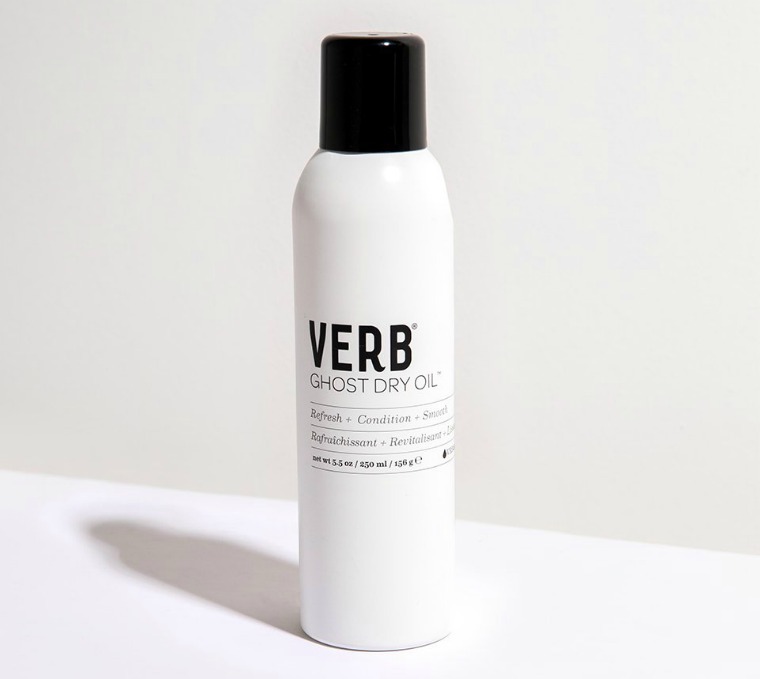 One last styling tip, I always use VERB’s Ghost Dry Oil spray after dry shampoo, which helps refresh your hair even further… it smells divine too. This spray conditions, adds shine and prevents damage from washing and styling. 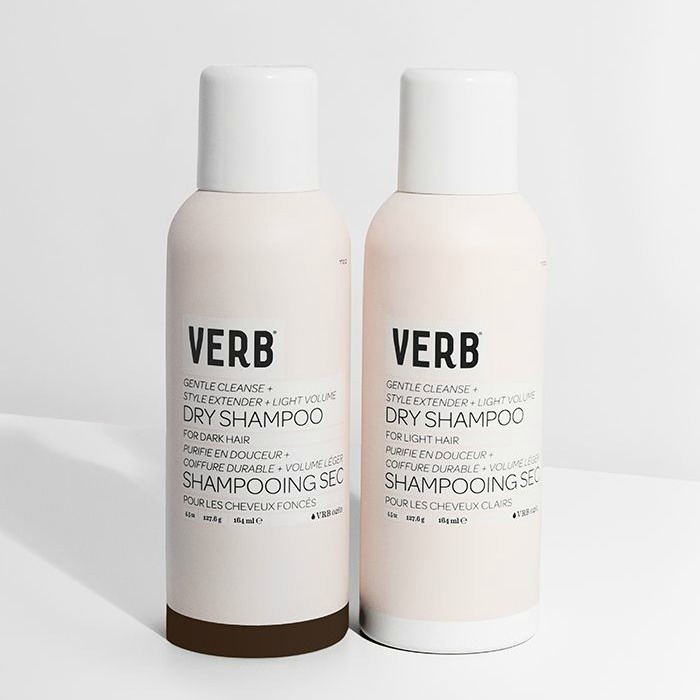 You can buy the VERB Dry Shampoo at Sephora, Urban Outfitters and on VERB’s website.